GCSO members are universities, research institutes and corporations that are committed to sustainability outcomes through their initiatives, research and teaching. Each member institution appoints an official representative to provide governance and oversight to GCSO operations. Ranked one of the top universities in Asia, the university’s mission is to nurture and develop the talents of students and to create applicable knowledge in order to support social and economic advancement. CityU integrates sustainability in education and teaching, research, and in campus operations by minimizing waste and promoting resource conservation. DCU is leading by example and instills in its graduates a knowledge and understanding of sustainability with the vision that they will incorporate this ethos in their future personnel and working lives. DCU’s sustainability ethos underpins all the university’s activities from academics and research, to campus operations supported by a Green Campus Committee that engages both students and staff in sustainability projects. The mission of Kamehameha Schools (KS) is to improve the capability and well-being of Hawaiians through education. KS achieves its mission by operating an educational system serving over 6,900 students of Hawaiian ancestry at K-12 campuses on O‘ahu, Maui and Hawai‘i island, and at 30 preschool sites statewide. Consistent with the Hawaiian culture and history, and as the largest landholder in Hawaii, KS constantly seeks ways to manage its financial, commercial, agriculture, energy, and environmental portfolios sustainably and to contribute to the well-being of communities throughout the Islands. The Karlsruhe School of Sustainability (KSS) was founded in 2014 and cooperates with a number of university institutions and centers engaged in interdisciplinary teaching or in sustainability sciences, like the Institute for Technology Assessment and Systems Analysis (ITAS). KIT works towards a sustainable campus through its Master Plan 2030, which covers energy supply, mobility, and buildings. KCL has developed policies and systems to ensure that the university operates in an environmentally sustainable way. The university’s research strategy supports multi- and inter-disciplinary research, including the King’s Together initiative which promotes a combination of healthy lives, culture and identity, and social justice in order to achieve sustainable growth. Since its establishment in 1960, KMITL has been devoted to providing higher education and research to advance science, engineering, technology and other areas of scholarship that promote sustainable development. 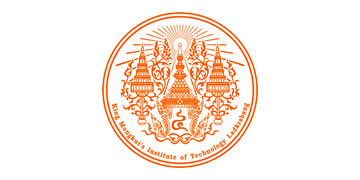 KMITL’s vision is to make Thailand the Southeast Asia center for advanced research, to make capacity building a reality, and to create a sustainable model for developing countries. Leuphana is a new type of university, uniquely designed to address critical social and environmental challenges, and help to move society towards sustainability. LUL research is distinct in its transdisciplinarity and balance between the humanities and the natural sciences. Sustainability education integrates key competencies that include problem-solving skills and the ability to collaborate with experts and stakeholders. In 2005, PSU formally adopted a Declaration of Support for Sustainability that recognizes the University’s public responsibility to take a leadership role in developing solutions that improve the quality of life for all—both today and in the future. Sustainability became a central part of Portland State’s institutional vision, an area of research enterprise, and a key learning outcome for its students. Tec takes an interconnected approach to sustainable development into its academic components. Its Global Institute for Sustainability (IGS), established in 2011, collaborates with the private sector to simultaneously promote economic competiveness, natural capital preservation and social welfare. The Institute’s research efforts are multidisciplinary with programs in climate change and sustainability; environmental systems research and climate research. UNAM has developed an interdisciplinary sustainability program including an MSc and PhD in sustainability science. Its Strategy for a Sustainable University (EcoPUMA) works across eight axes -energy, water, waste management, responsible consumption, green areas, mobility, sustainable construction, and electronic administration. The University of Guam is the only U.S. accredited university west of the International Dateline. It is a land-grant institution home to 3,900 students. UOG established the Center for Island Sustainability in 2009 to lead and support the transition of island communities toward a sustainable future. The university is a regional leader for adapting and modeling sustainable technologies to meet island needs in the broader areas of the environment, economy, society, and education. ASU thrives on finding solutions to global challenges and has placed sustainability as one of its core values. The Julie Ann Wrigley Global Institute of Sustainability is the hub of ASU’s sustainability initiatives, advancing research, education, and business practices for an urbanizing world. Its School of Sustainability, the first of its kind in the U.S., offers transdisciplinary degree programs that advance practical solutions to environmental, economic, and social challenges. Wells Fargo is committed to doing their part to accelerate the transition to a lower-carbon economy and reduce the impacts of climate change. They do this by increasing operational efficiency, and advancing clean technology, innovation, and other environmental solutions. They engage customers, team members, suppliers, and community partners in efforts to reduce waste, conserve resources, and support resilient communities. PepsiCo makes great-tasting, feel-good food and beverages — from treats to nutritious eats. 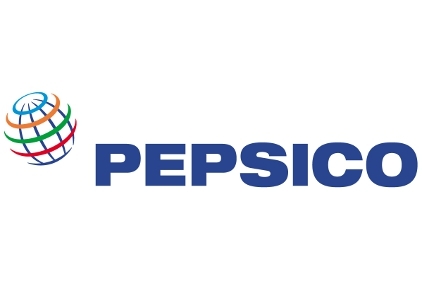 Committed to advancing sustainability and profitably hand-in-hand, PepsiCo is responsive to the needs of the more than 200 countries and territories they serve around the world. They are on a journey to offer more nutritious products, to shrink PepsiCo’s environmental footprint as a good global citizen, and to lift up people and families, from widening the circle of opportunity to providing relief in times of need.